Rabbits are, by nature, very clean animals. Aside from a few grooming things you (the owner) need to do, your bunnies will keep themselves neat & tidy and that also carries over into their bathroom habits. A rabbit will usually pick just one corner of their cage to “do their business” in and this is where you start when litter box training. I like to use the corner shaped litter boxes (you can read more about these in My Favorite Things) with a little bit of pine shavings or natural bedding in the bottom. Your litter box should be just big enough for your rabbit to hop in and barely turn around. You don’t want it to be too big or they might spend all their time in there! 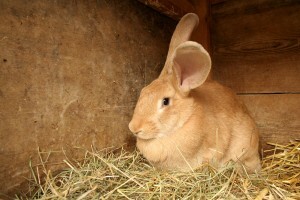 Plus, a smaller sized rabbit litter box will take up less space in their cage. 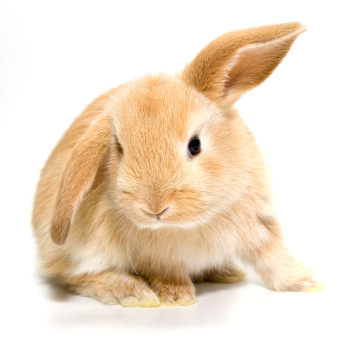 To start, take your litter box and place it in the corner or area that rabbit normally poops in. This is usually all you need to do to get them to start using it but if you find that your rabbit doesn’t quite get the hint you can also place a few bits of their poo inside the box to help them out. Once your rabbit has established that litter box as their chosen place, then you can pick it up and move it just about anywhere and they will still use it as their primary bathroom spot. If your rabbit is running around the house this can be a great way to keep the bunny poo in one place but be sure to also read our article on bunny proofing your house before you let your rabbits wander. Litter box training is great for house rabbits and also can cut down dramatically on cage cleaning time. 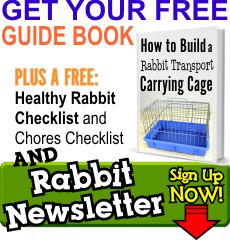 In fact, you’ll save so much time that you can start reading our rabbit newsletter for other great tips and info on bunnies and rabbit care – sign up now if you’re not already a member of our rabbit community!